Galaxy Note 4 vs Galaxy Note 3, What’s new in Galaxy Note 4? 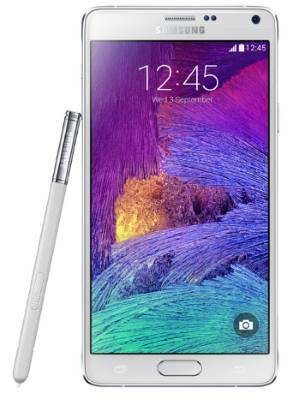 Galaxy Note 4 was finally announced on September 3, 2014. 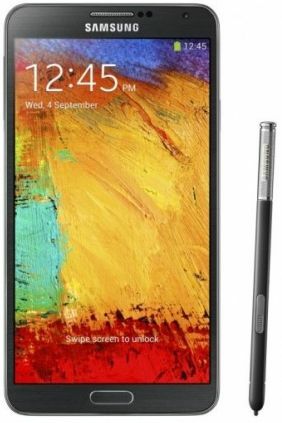 Samsung will very likely start to ship Galaxy Note 4 as early as the 4th week this September in selected regions, although in the event, October was confirmed for global release of Note 4. In most other regions, you will be able to get Galaxy Note 4 in October. So, before deciding whether you should get the Galaxy Note 4, let’s compare Galaxy Note 3 vs Galaxy Note 4 to find out what the new features/improvements are. Update: Galaxy Note 4 User Guide is available here. Rumors always are trustworthy in tech world. As stated in the Galaxy note 4 specification rumors post, Galaxy Note 4 comes with QHD (Quad HD, 2560*1240). This is a major upgrade from Galaxy Note 3’s full HD (1920*1080) display. The size of the screen is almost identical to Galaxy Note 3: about 5.7″. So, the resolution of 2560* 1440 display gives you a whopping 515 ppi. Of course, the screen is super AMOLED, the standard display in Samsung flagship phones. This is same as Galaxy Note 3. But Samsung got one year time to further improve and polish the technology, especially in color accuracy. If you don’t use S Pen, you are wasting half of your Galaxy Note devices. Plain and simple. 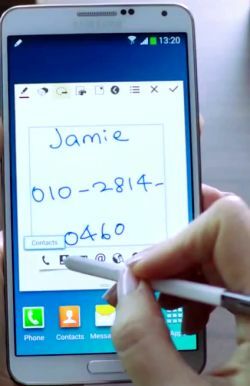 The new S Pen in Galaxy Note 4 now has 2048 pressure levels, which are sufficient t for 99% artistic jobs. As a comparison, Galaxy Note 3 got a 1024 pressure-level S Pen, which is decent for most designer jobs. Samsung introduced so many “smart” features in the past and most of them are useless or half-baked. In recent release of Galaxy Note 3 and Galaxy S5, Samsung learned the lessons and tried to polish the features when releasing them. 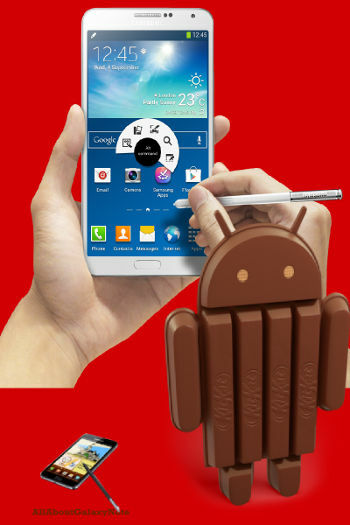 The Galaxy Note 3 KitKat update equips Galaxy Note 3 with the latest version of Android, following Nexus (Nexus 4, Nexus 5, Nexus 7 and Nexus 10), Moto X, Moto G, and some Google Play edition handsets (e.g., Google Play edition Galaxy S4 ). However, just like other Samsung’s Android updates, this Galaxy Note 3 KitKat update brings mixed experience: some disappointments and some consolations. If you are a Galaxy Note user, you probably still remember the battery drain issues in ICS update and slowness issue in Jelly Bean update. 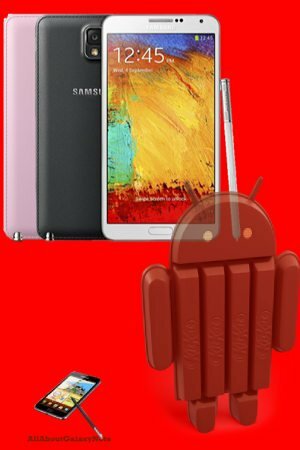 In this post, I will share with you the top 5 disappointments, and 5 cool features (consolations) in this Galaxy Note 3 KitKat update. One of the most important new features in KitKat (Android 4.4) for advanced users is the new runtime option: ART ( Android runtime). Although Google baked this new runtime as a beta feature in KitKat, most tests already reported significant speed improvement for almost all apps. In Moto X, we saw extremely good results when this runtime is enabled. Unfortunately, Samsung totally disable this option in Galaxy Note 3 KitKat update. There is no way to try it in Galaxy Note 3 (with the official ROM). Samsung may use the “beta” feature as an excuse of disabling ART in the Galaxy Note 3 KitKat update. It does not make sense because Samsung always bundles many alpha-level features or apps in the handset. As one of the flagship handsets, Samsung should give customers the option. We have to wait for next update if you want to try ART in Galaxy Note 3. This is a guest post by Nadia Hyeong at Techiedoodlers. She will share with us some interesting features in Android 4.4 (aka Android KitKat) , which will be unveiled this week. Galaxy Note 3, Galaxy Note 10.1 2014 Edition will very likely get this update. Note II and Note 8.0 probably will get it as well. The Android Kitkat is expected to arrive sometime this year, and the good news is that; most of the Galaxy’s lines of behemoth machines, like the Note III and Note 8.0, will be the first ones to experience its new capabilities. In this article, we’ll provide you with a rundown of the latest features from this upcoming system upgrade. This acts as a hub for all of the Google apps and widgets such as Play Music, Play Books, Keep, or Google +. In a report from IB Times, some of its features include a one-touch button for setting reminders, and the ability to create an unlimited amount of home screens. The launcher is similar to the Galaxy Note 3’s My Magazine. In a post from Verizon, it said that the Note 3’s handy feature “puts you in control of things you love” by letting you personalize your favorite news, social media, and entertainment websites. To keep up with the current trends in user interface design, icons will now sport a 2D or flat look. The notifications and control bar will be transparent, and its App drawer no longer has an outer circle. Instead, it has a translucent feel and its dots looUIk more rounded. Usually, Android users complain about the operating system being a memory-gobbler. However, this upcoming version is based on the Linux 3.8 kernel to help lower its RAM consumption. So, even though your device only has a 512 MB RAM, Kitkat will still run faster and smoother than its predecessors. Among the new features in Galaxy Note 3, Air Command probably is the most impressive one. Our beloved S Pen gets a new life in the Note 3. When you hover the S Pen over the screen and then press the button on the S-Pen, you will immediately get a palette-like menu with five available actions. The Air Command works like a context menu in most systems. There are five available actions (or quick commands) in Air Command: Action Memo, Scrapbook, Screen Write, S Finder, Pen Window. Although Air Command may have many usages, you may find that it makes note-taking extremely easy, quick and enjoyable. Action Memo allows you to write a note in your Note 3. Yes, this is not new. We got this feature since Note 1. What makes Action Memo differ from our old memos is that it can automatically execute a function or convert the handwritten documents or drawings into formatted content. Action Memo simply hooks the static info in the memo with some possible operations. Now you memo is alive! 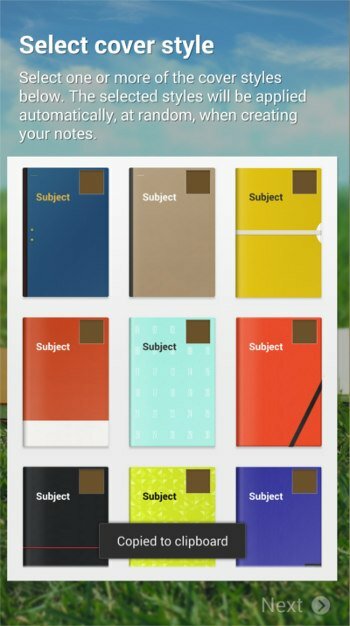 Scrapbook allows users to collect, organize, and track content and information from all sources in one place (Scrapbook). The contents in the Scrapbook are organized as categories, which are created by you. When you want to save content or info, you can select any existing category or create a new one.